Removing those who drive from the road if they are under the influence of drugs or alcohol just got more complicated for law enforcement officers. 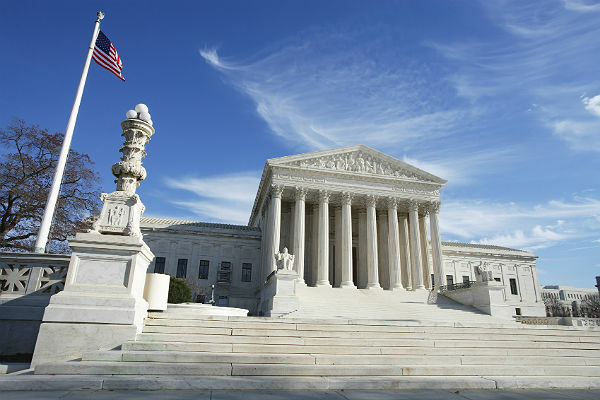 The U.S. Supreme Court ruled June 23 that obtaining biologic specimens using a breathalyzer is allowed, but obtaining blood specimens will require a warrant. In Birchfield v. North Dakota, the court stated: "The Fourth Amendment permits warrantless breath tests incident to arrests for drunk driving but not warrantless blood tests. Taking a blood sample or administering a breath test is a search governed by the Fourth Amendment." The ruling further discussed the differences between the two tests: "Breath tests do not implicate 'significant privacy concerns'" and "the physical intrusion is almost negligible." However, blood tests are a different story: "They 'require piercing the skin' and extract a part of the subject's body ... thus are significantly more intrusive than blowing into a tube. A blood test also gives law enforcement a sample that can be preserved and from which it is possible to extract information beyond a simple BAC reading. That prospect could cause anxiety for the person tested." This ruling has little impact on the determination of fitness to drive when a driver is impaired by alcohol. This is because the probable levels of alcohol in the driver's system can be determined using breathalyzers and field sobriety tests with reasonable accuracy. The bigger impact will be felt in cases of driving under the influence of marijuana. While there are several breathalyzers in development for the detection of marijuana, none are available for the use of law enforcement. And there are no functional tests available for law enforcement to use that are specific to marijuana. The determination of blood levels of the psychoactive ingredients in marijuana is currently the only means to predict the impairment to drive after having consumed marijuana. The time delay related to obtaining a warrant to draw blood is often long enough for the marijuana in the driver's system to have dissipated to a level that it is no longer discernible or below levels that are considered high enough to cause impairment. A 2012 study in Colorado examined the time delay between when law enforcement became involved and the time of the initial blood draw in those cases of DUI vehicular homicide. The researchers found that the times were between 0.83 hours and 8.0 hours with an average delay of 2.32 hours. Given the delay, the study concluded many blood tests will not likely confirm those impaired drivers who have marijuana above the established legal levels in their systems. The levels of marijuana in blood can rapidly drop within one hour and be minimal at two hours. Thus, the requirement that law enforcement obtain a warrant will be a hindrance to obtaining accurate levels of drugs in a driver's system, and this will prove to be problematic in states that have a rising level of the use of marijuana. Birchfield v. North Dakota will have repercussions. The increasing potential for those causing harm while driving under the influence of marijuana is of concern to those advocate groups who are fighting to prevent the ever-increasing harm caused by drivers under the influence of marijuana. The level in the blood at which a person is considered impaired by marijuana is not consistent across states. Some states have a "per se" law where the level of drug in the body of a driver so as to cause impairment is defined. Others have zero tolerance for any level of marijuana and its psychoactive ingredients in the blood. "The world is coming to realize that the infamous 5 ng/ml THC legal limit imposed by Colorado, Washington and Montana is badly flawed," the group DUID Victims Voice expressed. "The marijuana lobby claims users can be unimpaired at levels higher than that. New research shows that drivers are impaired at levels well below that. This is a position we've taken for years, and welcome the fact that others agree." The recent Supreme Court ruling will further impede the timely collection of blood to determine levels. One outcome may be the elimination of per se laws altogether.